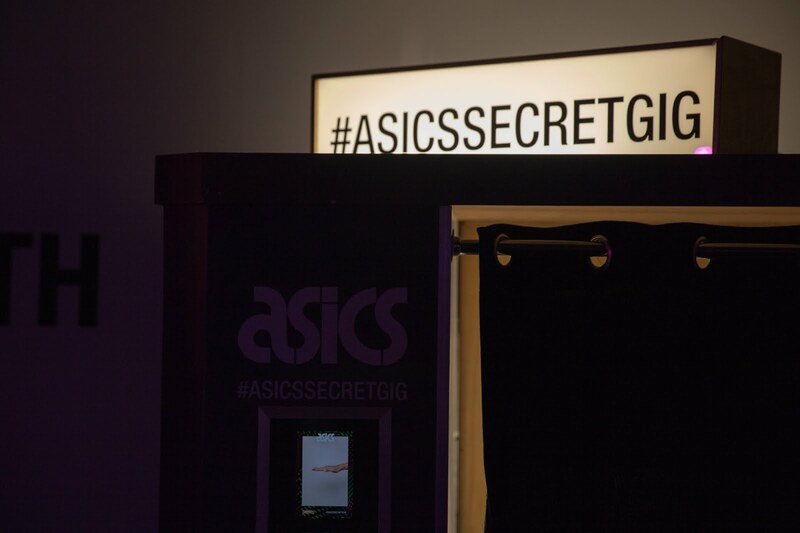 Last week I was invited along to a secret gig with JD Sports and ASICS to celebrate the launch of ASICS' new Chameleoid pack. Being the most over-organised person in the world I didn't know what to expect when I headed along to the secret location (revealed on the day of the event as Mangle nightclub in London Fields) without a clue as to what the night had in store or who would be performing! I met up with Kassie and Katie beforehand and we headed over to the venue, which had been kitted out with amazing lighting, an Asics stage and a timeline of Asics' history. We headed straight for the food and munched on some delicious dumplings then obviously had to make a trip to the photobooth. Then of course I couldn't wait to check out the exciting new trainers! We met the lovely Haydy, who was there with her boyfriend, and bumped into Elle too. Soon enough it was time for the secret performers to be revealed. 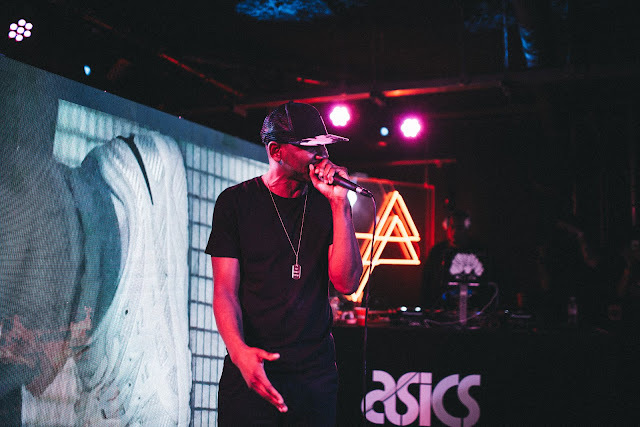 The night was hosted by BBC 1Xtra DJ Sian Anderson and saw the likes of Melody Kane and Logan Sama Djing, followed by a performance from grime artist AJ Tracey. 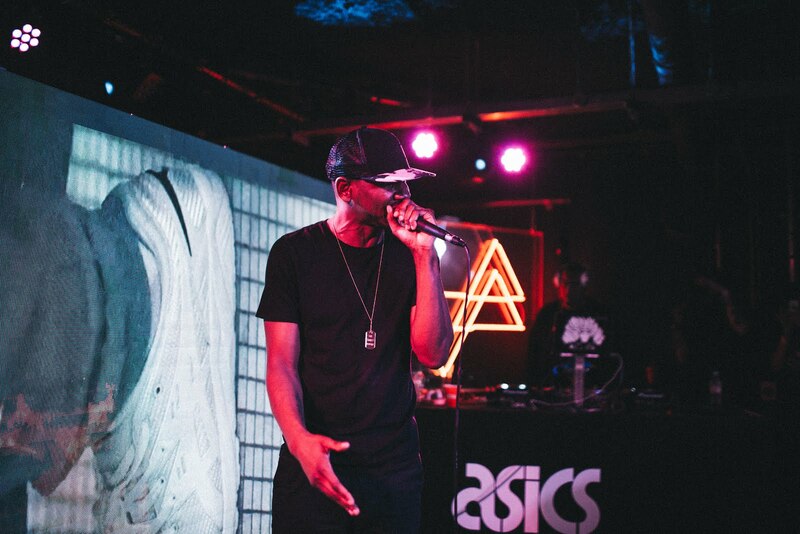 Unfortunately I had to head off before the secret artist was revealed - Giggs - but I followed the action live from Twitter and Instagram as I made my way home on the train and the venue was packed out. I felt slightly uncool tucking myself up in bed while everyone was still out partying but it was by the most different Wednesday night I've had in a long time! 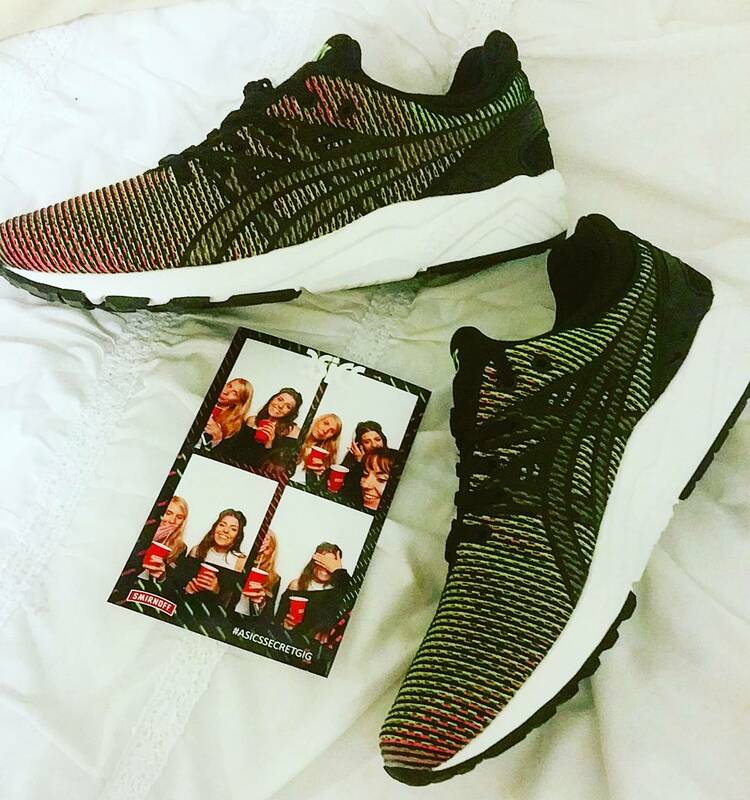 I was lucky enough to get a pair of the new Chameleon trainers, which are part of the Gel-Lyte range. The trainers have a new two tone upper mesh which makes the shoe appear to change colour when you move - super cool! They are also made with Asics Gel technology so are soo comfortable to walk in and support my feet. 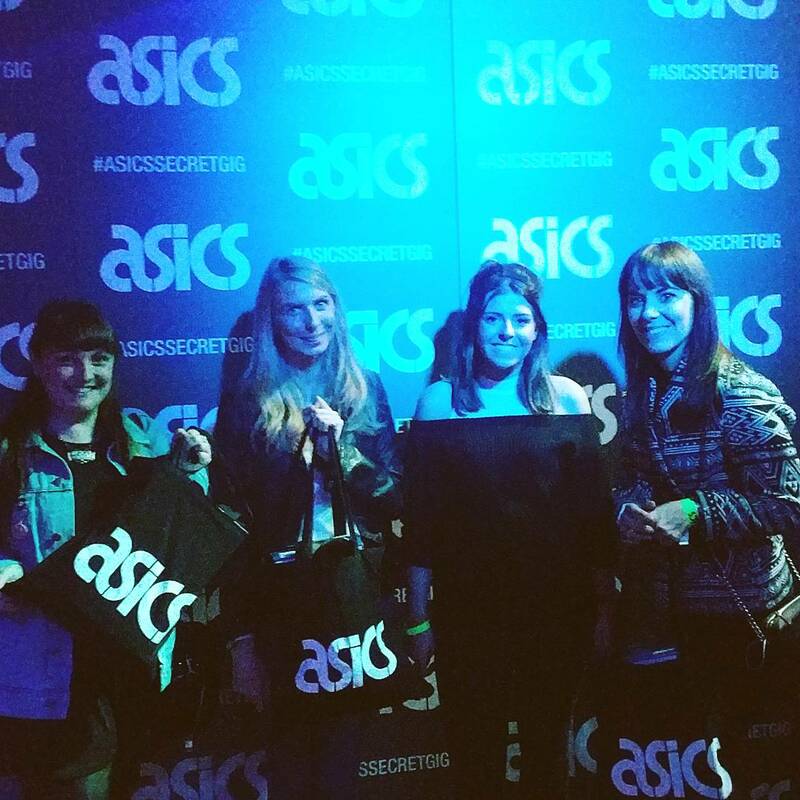 Thank you JD Sports for an amazing evening!